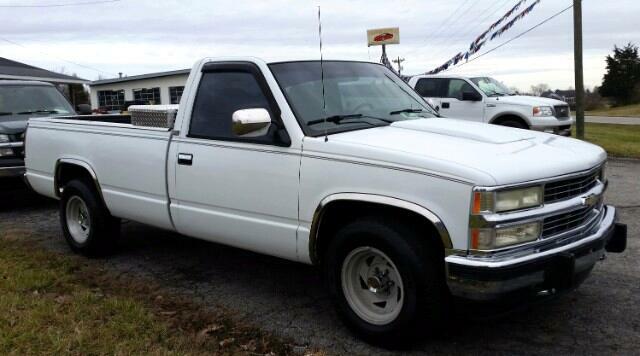 1994 Chevrolet Silverado, 350 with Quadra-jet 4 barrel carb, Edelbrock intake, new fuel pressure regulator, 2 fuel cells mounted in bed with access through tool-box, built transmission with newer rear end and rear gears. B&M ratchet shifter, auto-meter gauges for the vitals, 2 late model Chevrolet seats, aftermarket radio and speakers, alloy wheels with very good rubber. Call Robert @ 606-365-1051 to schedule a test drive.